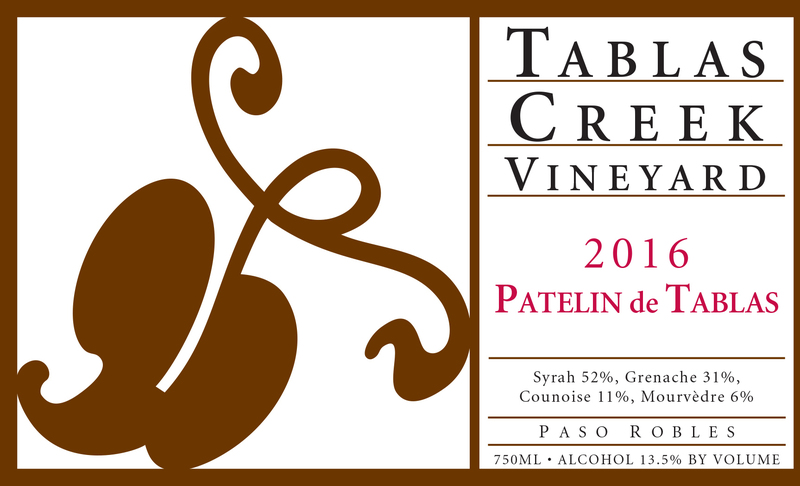 The 2016 Patelin de Tablas has a darkly fruity, Syrah-driven nose of black cherry, blackberry, pepper spice, meat drippings, and pipe tobacco, with a little sweet anise spice providing lift. The mouth shows a balance of fruitier and more savory notes, with cool, minty, cherry skin flavors and notes of pine forest and wood smoke that emerge with air. Chalky tannins provide structure and confidence that while the wine is delicious now, it has the substance and balance to age for up to a decade. All varietals for the Patelin de Tablas were destemmed and fermented in open-top and closed stainless steel fermenters as well as 1500-gallon oak upright casks. Only native yeasts were used. After fermentation, the wines were racked and blended, aged in 1500-gallon oak upright casks, and bottled in July 2017.